OK - this is a bit of old news but we have only just discovered it! 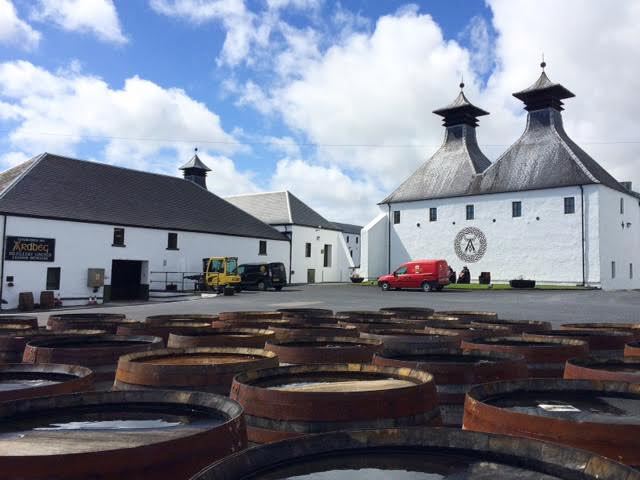 There is a distillery awakening from a very long sleep in the Lowland area of Scotland. It is called Annandale and is located in the town of Annan in Dumfries & Galloway, which is very close to the English border. Annandale was originally opened in 1830, but fell silent in 1919 and has remained unused ever since. That is until 2007, when the derelict site was purchased by David Thomson and Teresa Church. Now following extensive renovation, news has it that the distillery is almost ready to start producing single malt whisky again. We will bring you further news in the future, but in the mean time you can check out their website www.annandaledistillery.co.uk. Canadian Club > Hire Aussie cricket legend! The Canadian whisky brand has launched a new pre-mixed drink on to the Australian market - Canadian Club & Dry. The 'face' of the advert campaign is former Australian cricketer and well-known drinker David Boon - the man famous for downing 52 cans of beer on an Ashes flight from Sydney to London! Apparently, Boon's tastes have changed and he now prefers a Canadian Club & Dry to a beer. Only time will tell if other Aussies follow his lead ... but in the meantime, check out the short advert below. Diageo have submitted expansion plans to Moray Council for a significant expansion to their Speyside distillery at Dailuaine. The distillery, which contributes large amounts of its single malt whisky to the company's popular Johnnie Walker blended range, will undergo a £9.5 million redevelopment to increase its current 3 million litre annual capacity. The application is still at the consultation phase, which includes canvassing the opinions of local residents. The company's malt distilling director, Brian Higgs, Diageo's Distilling Director says, "Speyside is already at the heart of our malt distilling operations and I am delighted that, beginning with the Dailuaine proposal, we are looking at further enhancing our business in this area." The famous Speyside distillery, owned by William Grant & Sons, have announced the release of their latest annual Vintage Reserve. This bottling was distilled in 1974 and the exceptional cask was selected by a panel consisting of Brian Kinsman (Glenfiddich's Malt Master), Ian Millar (Glenfiddich's Global Brand Ambassador) and the 13 Glenfiddich Brand Ambassadors from around the globe. Brian Kinsman comments, “This year’s Vintage Reserve selection is distinctively Glenfiddich, with rich, spicy oak notes and an amazing vibrancy for whisky of this age. The nose of the 1974 Glenfiddich Vintage Reserve is rich and oaky with vibrant vanilla sweetness and an intriguing hint of polished leather and liquorice. To taste, it’s initially very sweet with a vanilla toffee character – it’s a beautiful whisky.” Just 1,000 bottles will go on sale in September of this year. 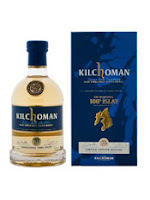 Kilchoman (pronounced kil-coe-man) is one of Scotland's youngest whisky distilleries and is located on the western side of the famous whisky island of Islay, off the Scottish west coast. The distillery is named after a local church parish and is new in whisky terms - the first spirit was produced in June 2005 and the first single malt was released in November 2009. Kilchoman is independently owned by the Kilchoman Distillery Company and has a production capacity of 100,000 litres a year, making it also one of the smallest distilleries in Scotland. It is already building up a cult following of drinkers and attracts over 10,000 people a year to its visitor centre. This new whisky from Kilchoman is a three year old that has been matured in ex-bourbon casks. It has been made in a lightly peated style with a phenol level of roughly 15-20 phenol parts per million (known as PPM - for more information and the definition of this term, click here) and is bottled at a strength of 50% ABV. The name of 100% Islay is given as it is the first known single malt to have all aspects of its production carried out on the island. The barley has been grown and malted on Islay, then dried using its famous peat, before being distilled, matured and bottled at the distillery. There are 11,300 bottles in the release, each retailing for £69. There is also a special version which is being sold only at the distillery shop – there are 1,060 bottles of this, which is 61.3% ABV, presented in a hand crafted oak box and will cost £149. The colour of the 100% Islay is a pale golden yellow and the nose is hot, lively and a little aggressive, before it calms down to reveal some more subtle notes. There are plenty of initial coal smoke, ash and surgical spirit aromas, which are backed up by some damp, earthy peat. With time in the glass these aromas dominate less and allow other aromas to appear - some sweet honey and vanilla, lemon zest (this increases with time), oatcake biscuits and an abundance of fresh, crisp green fruit (think of pears and apples). On the palate, the initial earthy peat smoke continues unabated and has a bitter iodine-like edge, before again softening to revealed some delicious notes underneath. It quickly becomes very oaty (imagine oatcake biscuits again) and very zesty (especially lemons, which give the whisky a lovely sherbet-like zing. Much needed softness and sweetness are given by good notes of vanilla, honey, icing sugar, toffee and juicy green pears and apples. In the end, the palate is much sweeter and better than the nose suggested and takes on an almost oily/soapy nature on your taste buds. The finish is long lasting with plenty of damp peat and acrid coal smoke notes being joined by some vibrant youthful spiciness (think of hot chillies) and a good dollop of honey. This is a whisky of two halves - we (plus a couple of people that we shared our sample with) found that the nose was a bit too aggressive and left a slight negative impression. However, the whisky pulls it back on the palate, which combines some lovely notes and good complexity with its evident youthful vigour and plenty of smoky, peaty flavours. Well worth a try if you get the chance, especially if you appreciate the smoky, style of whisky. It is always good to try whiskies from new distilleries, but only you can decide if it is worth £69 a pop for this one. 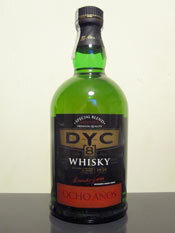 DYC whisky is produced in Spain and this Ocho Años (eight years old) bottling forms part of a core range, which also includes the best selling Regular blend and the Pure Malt - the only Spanish single malt whisky. 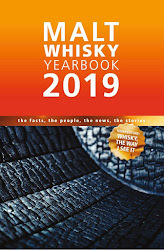 Many people do not even realise that Spain has a whisky industry (including us before we discovered DYC on a trip there a few years ago) but it makes sense when you learn that Spain is the fourth largest consumer of whisky in the world, behind only France, the USA and the UK. The Ocho Años is a blended whisky, in which the youngest whisky included is eight years of age. It is bottled at 40% ABV and is available in larger supermarkets and liquor stores in Spain for the very reasonable price of €15. DYC is the abbreviated company name of Destilerias y Crianza del whisky, which opened Spain's first whisky distillery in 1959. The distillery is located in the town of Palazuelos de Eresma in the Castilla y Leon region to the north west of Madrid. It is a massive distillery complex that has the capacity to produce 20 million litres of spirit per year (this is almost double the capacity of Scotland's biggest whisky distillery at Glenfiddich). DYC is owned by the multi national drinks company Beam Global and they make other alcoholic spirits under license at the distillery. The whisky is marketed to be low budget and is very popular in Spain, being much cheaper than imported Scottish, Irish or American whiskies. It is designed to be mixed with non alcoholic beverages or ice and to be easy drinking in the hot weather. The colour of this Ocho Años is a light golden yellow and the nose is also light, with some gentle understated aromas combining nicely. These fall in to two categories - sweet (vanilla, honey and butterscotch) and non-sweet (cereals, dried grasses and some lemon zest). It gives the impression of being refreshing to drink. On the palate the whisky exhibits basic characteristics, with contrasting elements working nicely together. This time there is a mix of soft, creamy notes such as toffee, honey and vanilla, plus tangy and drier notes like robust cereal grains, dried grass, fresh lemon juice and some spicy oak. The combination is interesting and gives that refreshing nature that the nose suggested. There is no massive complexity here but that is no bad thing, as all the notes are well balanced. The finish is a little more robust and is particularly grainy, with plenty of bittersweet cereals gripping your tastebuds along with a decent amount of drying oak and tangy lemon zest. This DYC is a simple but very pleasant and easy drinking whisky. It has basic characteristics in abundance but lacks a little depth and complexity. However, this makes it refreshing and ideal for drinking in a hot climate, which is what it is designed for. It also offers good value for money and this is why we snaffled a bottle for our collection on our travels to Spain. 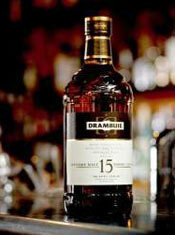 Next time that you are in Spain and you see some DYC behind a bar, why not order a dram and try it for yourself? 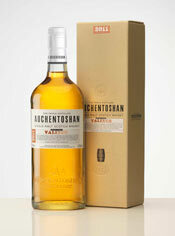 Auchentoshan Valinch is the latest bottling from the well known distillery in the Lowland whisky region of Scotland. It has been released due to popular demand from consumers for a higher strength edition of Auchentoshan and is essentially a cask strength (57.7% ABV) version of the Classic expression from the award winning core range. The word 'valinch' is the name of the pipette tool used to draw whisky from a cask in a warehouse and the Valinch release is planned as an annual bottling going forwards. This release is a limited edition of around 10,000 bottles worldwide and will retail in specialist whisky retailers at the bargain price of £40 a bottle. 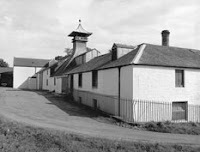 The Auchentoshan (pronounced ock-en-tosh-an) distillery is located to the north west of Glasgow. It is unique as it is the only distillery in Scotland to continually practice triple distillation of their spirit. Other Scottish distilleries occasionally do this but the majority normally distil just twice. Auchentoshan was founded in 1823 and the current owners are Morrison Bowmore, part of the Japanese company of Suntory. They have carried on this tradition of triple distillation since they took control in 1994. The annual production capacity is 1.75 million litres and the name translates as 'corner of the field' from Gaelic. The distillery's visitor centre has been voted one of the best in Scotland and is one of the most visited, helped by its close proximity to Glasgow. The colour of the Valinch is a bright golden yellow and the nose is fresh, expressive and classy with a lovely perfumed scent. The initial notes are of pungent sweet vanilla, coconut, wood shavings (think of sawdust) and almonds, before more subtle notes begin to come through - honey, hazelnut, light cereals and hints of dried grass and peach. On the palate, this is immediately creamy and succulent with a delicious refreshing citrus-like tang which develops almost straight away (imagine lemon zest). Then comes some lovely warm oaky wood spices, especially cinnamon and nutmeg, which compliment the rich and gripping vanilla, honey and bittersweet nuttiness (the hazelnut especially gives a slightly unusual praline note). The peach and light cereal notes are again in the background. The combination of the warm spice, plenty of oak, citrus (which becomes a little more orange-like with time), creamy vanilla and nuts is very good. The finish is long, tangy and slightly drying with plenty of freshly cut oak and wood spices on offer, along with some zesty orange. The honey and vanilla notes give balance. The high ABV suggests adding water and even a few drops soften things down significantly - the citrus notes are tempered and the vanilla, honey and praline elements become creamier. This is a cracking new whisky from Auchentoshan. Like all good whiskies, the palate perfectly recreates what the nose suggests and takes you on a lovely journey through to a surprisingly long, warming finish. The high strength may put some people off but the whisky holds up well to the addition of water, which adds pleasant softness to the complex characteristics. It is absolutely delicious. We thank Hannah Fisher, the Auchentoshan Brand Manager, for allowing us a sneak preview sample of this and we will be buying a bottle of the Valinch shortly. Whisky For Everyone has been quiet for the last two weeks, as we have been away on holiday. We made our annual pilgrimage to Spain to take in the beautiful city of Valencia and the FIB music festival in the coastal town of Benicassim. We have come back refreshed and ready to write about whisky again, which is good ... as we have plenty of news, samples and new products to write about over the coming weeks, plus the occasional whisky related adventure! Drambuie, the popular whisky liqueur owned by Bacardi, has introduced a new premium expression to the US market - the Drambuie 15 years old - at the Tales of the Cocktail festival in New Orleans. The liqueur is made using 15 year old single malts from the Speyside region of Scotland and has been successful in travel retail and UK markets. The US version is bottled at the same strength as in other markets (43% ABV) and will be available nationwide at a recommended retail price of $56 per litre. Glengoyne > Afternoon tea anyone? Cameron House, a five star resort located on the banks of Loch Lomond, has joined forces with the nearby Glengoyne Distillery to offer a new Whisky Afternoon Tea. It has been created by new Head Chef Ryan Neill and consists of various snacks served with a mug of tea and a dram of Glengoyne 10 years old on slate platter. The snacks (pictured, below) include roast beef & mustard sandwiches, haggis sausage roll, smoked salmon roll, mini Aberdeen Angus burger, black pudding scotch egg and slices of Glengoyne whisky fruit cake. The Afternoon Tea is served in the hotel’s Whisky Bar and is available daily from 2-5pm at £26 per head. To book a Glengoyne Whisky Afternoon Tea, please telephone the Whisky Bar at Cameron House on 01389 722 581 or contact www.cameronhouse.co.uk. A few months ago, we reported on a competition being held by the Speyside distillery of Glenrothes. This was called the Whisky Makers Contest and following thousands of entries from all over the world, the winners were treated to a series of challenges, tastings and lessons in the manufacturing of single malt whisky in June. The winners came from England, Taiwan and the USA and were guided and tutored by the experienced staff and the legendary Global Brand Ambassador for Glenrothes, Ronnie Cox. The short video below shows some of the highlights from the winners’ trip to Speyside. The Highland Park distillery on the northern Orkney islands have announced the release of the Earl Haakon, the much anticipated third and final edition in their Magnus series. The first two bottlings in the series – the Earl Magnus and Saint Magnus -celebrated the influential 11th century Viking Magnus (the clue was in the name!). This one is named after Magnus’ deceitful cousin Haakon, who was extremely violent as legend says and actually ordered Magnus’ death. Therefore, this new whisky highlights the darker and more sinister nature of its namesake. The Earl Haakon is 18 years of age, is bottled at a cask strength of 54.9% ABV and consists of just 3,300 bottles. These will be available shortly from specialist whisky retailers and via www.highlandpark.co.uk for £160 a bottle (which is made of handsome black glass). We have just received a sample and will be reviewing it shortly … watch this space! 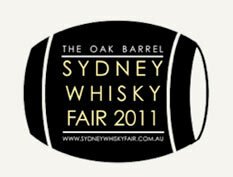 Whisky connoisseurs, boutique whisky distillers and industry leaders will descend upon Sydney this September for the launch of the Sydney Whisky Fair - a tasting experience for avid Australian whisky & spirit enthusiasts organised by retailer The Oak Barrel. The fair is being held at the company’s facilities in Elizabeth Street, Sydney on 2 and 3 September and there will be over 100 whiskies and spirits on show including exclusive products not normally available for tasting and new products. Master classes will also be held over the two days with limited tickets being released for each session. Ticket price ($60 per head) includes entry, a tasting glass and & light snack to keep you going throughout your whisky journey - check out The Sydney Whisky Fair website to purchase tickets and for more info. The award-winning and increasingly popular Amrut distillery, located in the Indian city of Bangalore, have announced the release of their latest whisky. In an unusual move they have distilled the spirit in Bangalore and then shipped it across to Germany for maturation. Here, it matured slower than in Bangalore (which is at an altitude of 3,000 feet/915 metres and has high humidity). the whisky has been matured on the remote unspoilt northern island of Helgoland, whose air benefits from no pollution and sitting on the Gulf Stream. The maturation and bottling have been done in conjunction with Prineus, Amrut's German importer. Details of the strength, estimated price or amount of bottles were not supplied. 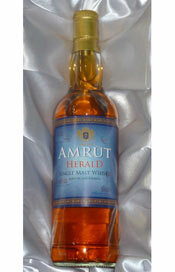 For further info about Amrut, visit www.amrutwhisky.co.uk. The Lowland distillery of Auchentoshan have announced a new initiative - The Auchentoshan Switch. The Switch is a competition for mixologists on both sides of the Atlantic and involves the winners getting the opportunity to work in two top bars - one lucky winner from the UK will work in Apotheke in New York and another winner from the US will work at 69 Colebrooke Row in London. The competition is centred around Auchentoshan's Three Wood expression and to enter you have to create a short video of you creating two drinks - the first is a lemonade from scratch using raw ingredients and the second is an Old Fashioned using the Three Wood. The period of entry is between 1 July and 31 August. Go to www,switch.auchentoshan.com to enter and for more details about the competition, the two bars and Auchentoshan. Below is a short video that they have released to get you inspired! 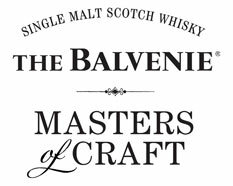 Last month, we reported on the inaugural Masters of Craft competition which was hosted by Balvenie, the famous Speyside distillery owned by William Grant & Sons. The initiative celebrates the often-forgotten crafts and trades that many people pursue. Such craftsmanship is deep rooted in everything that Balvenie does and they believe that this aids the quality of their whiskies. The awards were given across a range of skills and materials - the judging panel was made up of Balvenie’s legendary Malt Master Dave Stewart, TV presenter and designer Kevin McCloud, photographer Nick Hand, Robin Wood, the chairman of the Heritage Crafts Association and Anne Cuthbertson, the editor of the Sunday Telegraph Life magazine. Now they have released a short video of the awards night at the swanky Connaught Hotel in central London, to which we were delighted to have been invited. 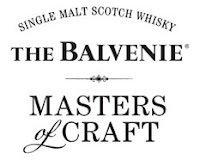 The Balvenie Masters of Craft from The Balvenie on Vimeo. The famous Islay distillery has teamed up with Rob Allanson, editor of Whisky Magazine, to host a special whisky tasting in Glasgow on Friday 15th July in aid of the Bowmore Ben Nevis Challenge - an event of 20 August where Bowmore support the charity Capability Scotland, which sees disabled and non-disabled people working together to take on climbing the UK's highest mountain. The tasting will include some unique limited edition whiskies from Auchentoshan and Bowmore, plus a few other special drams. It will be followed by a raffle and silent auction featuring some rare whiskies signed by Bowmore distillery manager Eddie MacAffer. The Bowmore Ben Nevis Charity Whisky Tasting will take place at the Thistle Hotel in Cambridge Street, Glasgow and tickets are £30 per head. Click here to buy tickets and visit www.bowmore.com/ben-nevis for info on the Bowmore Ben Nevis Challenge. The visitor centre at the famous Speyside distillery has been awarded the prestigious five star rating from VisitScotland’s quality assurance scheme. Following the completion of an investment programme of over £1m, The Macallan Visitor Centre offers a highly innovative and distinctive distillery experience. A memorable and interactive learning journey takes visitors through the production life-cycle of The Macallan. There are two types of tour - The Experience Tour (£10) is lead by The Macallan's knowledgeable guides, ending with a dram of The Macallan. The Precious Tour (£20) is more in-depth ending with a tutored nosing and tasting of some of The Macallan’s older whiskies. The annual review by VisitScotland consists of unannounced visits by an auditor who assesses core areas covering all aspects which have an impact on a customer's visit. 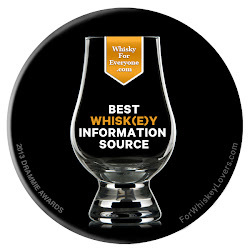 The Whisky Round Table has just celebrated its first year and all 12 members have now hosted. For the start of the second year last month, the baton passed back to founder Jason. It has now been passed on to Joshua Hatton of The Jewish Single Malt Whisky Society. He has come up with a question regarding the benefits and pitfalls of using whisky scoring systems when reviewing. It has created lengthy responses from the Round Table members, so grab a dram and put your feet up - click here to read our responses. We hope that you enjoy the debate and please feel free to add a comment at the bottom of either posting. The Black Bull Special Reserve is a newly released blended whisky from Duncan Taylor Scotch Whisky Ltd, the renowned independent bottling company. 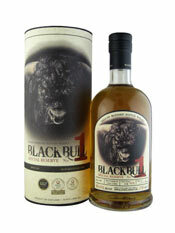 It joins the award winning 12, 30 and 40 year old versions in the Black Bull range, which has been around since the 1930s. 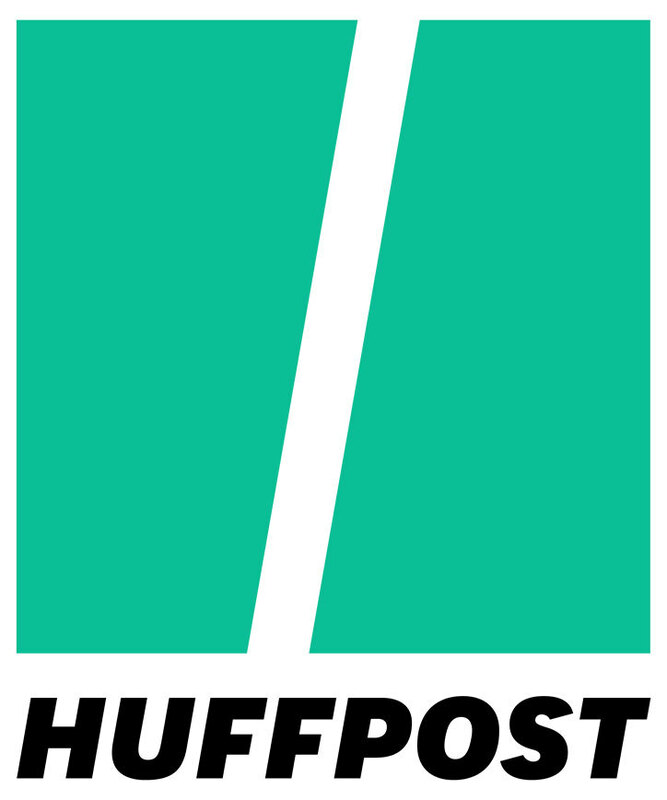 The brand was acquired by Duncan Taylor in 2001 and revamped recently. The Special Reserve is a small batch release (batch number one in fact) and there are only 978 bottles. It is constructed using equal measures of single malt and grain whiskies, which is relatively rare in blending circles (the grain whisky percentage is normally higher). This premium blended whisky is bottled at the natural strength of 46.6% ABV and should cost around £95 from specialist whisky retailers. Our good friends and co-London whisky bloggers Joel and Neil of CaskStrength have announced the release of their first ever whisky - Cask Strength and Carry On. 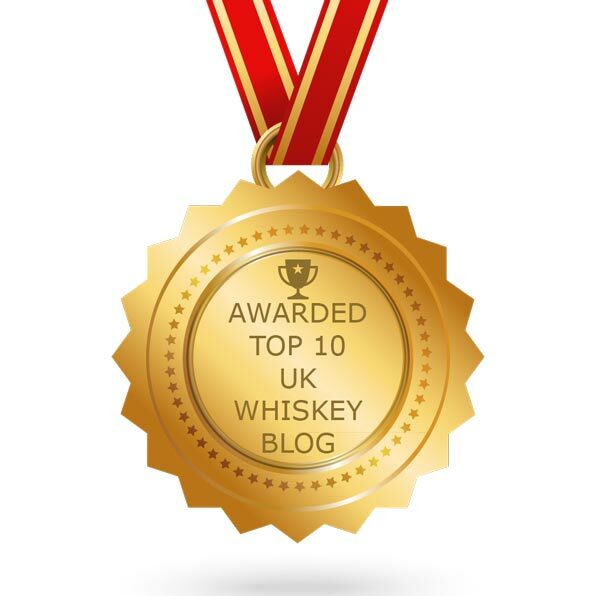 The bottling is to celebrate the blog's 3rd birthday, which was in March, and they have teamed up with the innovative Isle of Arran distillery for this release. The whisky was distilled by Arran in 1998 and bottled in May at an age of 13 years. It has been drawn from an first fill ex-bourbon cask (cask no.1554 to be exact!) and has been bottled at the natural cask strength of 49.9% ABV. There are only 92 bottles and each will retail for £48.95 - it can be purchased only through online retailer Master of Malt. They are also selling 3cl sample bottles as part of their Drinks by the Dram collection for £3.95. Click here to go directly to the product page. Diageo, the owners of the famous Johnnie Walker brand, are close to finishing a new design concept in the Chinese city of Shanghai. They have created an interactive four storey 'whisky house' in the city, in which they will have a whisky bar, hold tastings and educate the growing Chinese consumer market about all things whisky. 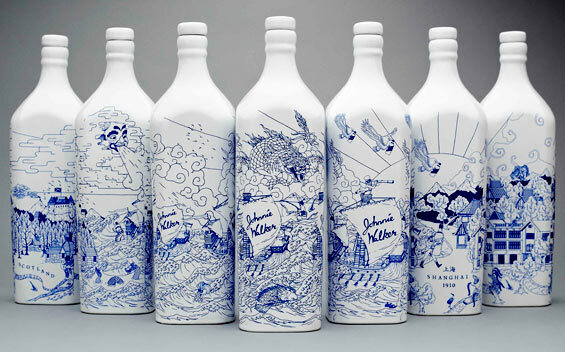 The project incorporates cutting edge design and part of this includes a limited edition of Johnnie Walker. This is to be presented in a Chinese white porcelain bottle, which is decorated with traditional blue ink designs and iconography (pictured, below). The designs hark back to the famous Chinese pottery from centuries ago. There are only 1,000 bottles of this 1910 Commemorative Edition whisky, which will be for sale 'by invitation only' from the house. The independent Highland distillery of Tomatin have announced the release of a special single malt whisky. Decades has been created to celebrate the 50 years service at the distillery of Douglas Campbell, the current Master Distiller. He began working at Tomatin in 1961 and has done most jobs there, before becoming Master Distiller in 2008. Douglas has created a whisky using casks from each of his five decades of service, with the oldest being from 1968 and the youngest from 2005. There is also a mix of ex-bourbon and ex-sherry casks - this, plus the combination of youthful and very old whiskies has created a unique whisky. 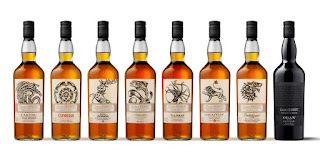 There are 9,000 bottles available at 46% ABV and each will cost £70/€80. 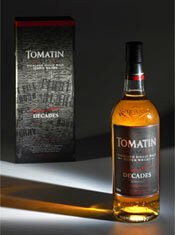 For further information, visit www.tomatin.com.